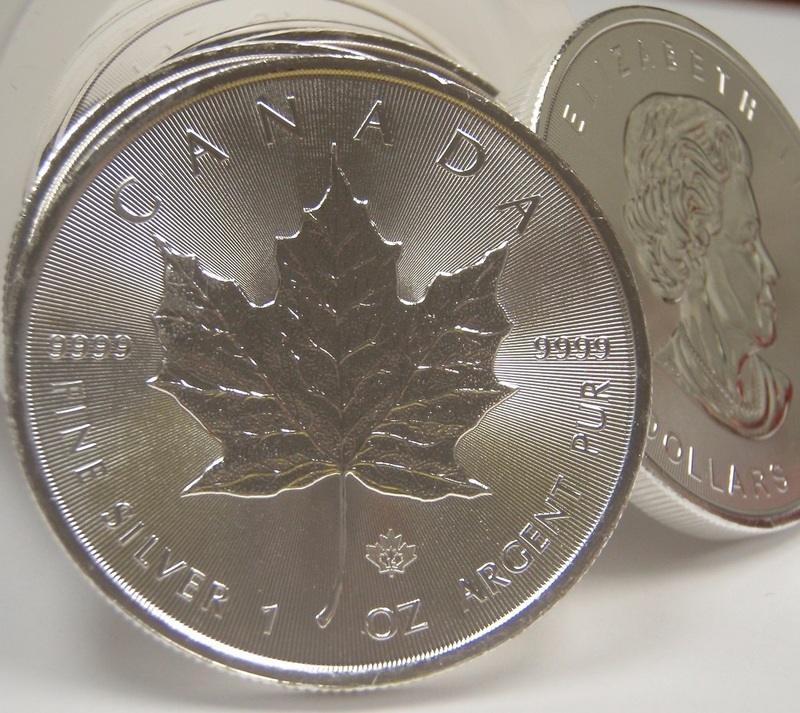 RCM 1oz Silver Canadian Maple Leaf Coins. .9999 Fine and beautifully designed with an updated finish. Security feature with the maple leaf privy mark on the front. Please call regarding large orders.